The boundaries of Story County were established and defined in 1846. The county was named after the eminent jurist, Joseph Story, who was for a third of a century associate justice of the Supreme Court of the United States. The first settlements in what is now Lafayette township were made in the spring of 1852. Fairview was the first town laid out and platted in Lafayette township. During 1856 a great many settlers came to this new country. A post office was then established in late 1856 or early 1857, and as the name Fairview had already been appropriated by another town, the name of Story City was chosen. 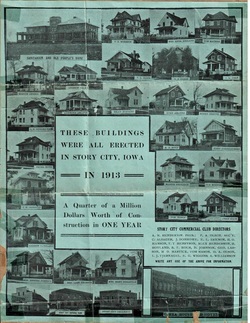 Story City was laid out as a town in 1878 and together with Fairview incorporated as Story City in December of 1881. Captain W.A. Wier was elected mayor. The first railroad to reach Story City was the Des Moines and Minnesota and was completed in 1878. 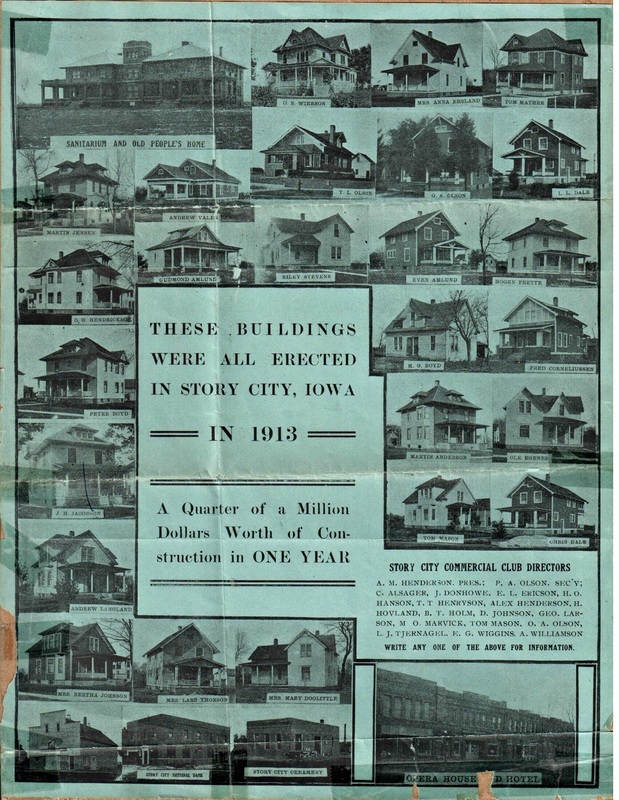 A branch of the Iowa Central railroad was completed from Marshalltown to Story City in 1882. In 1908 the businesses of the town organized the Commercial Club, now called the Greater Chamber Connection, for a coordinated effort at community building. Gradually the spirit of accomplishment took possession of the people, with the result that in one year, 1913, twenty nine homes and buildings were constructed. Including the Sanitarium and Old People's Home, the Grand Opera House and Hotel, the Story City Creamery, the Story City National Bank, and 25 residences. The following years brought many additions to the business district and to the residential areas. Brick streets were laid in 1918.